The Offline Maps feature inside the updated Deeper App facilitates your overall Deeper experience navigation. All you have to do is to download your free area map using the Deeper App when online – at home, in the office or in the public Wi-Fi space and store the map on your smartphone. Now make a full use and derive benefit from your offline map – make a note where you left your car, spot a nice picnic place or a restaurant on the way, check a fishing tackle shop nearby, track your previous fishing spots and mark the new ones – all this and much more available when using updated Deeper App Offline Maps feature. No cellular nor internet reception required. When operating Boat Mode you can mark the real time bathymetric data on top of your archived offline map and display directly on your smartphone screen. All maps can be archived and accessed at any time to improve your fishing location efficiency. 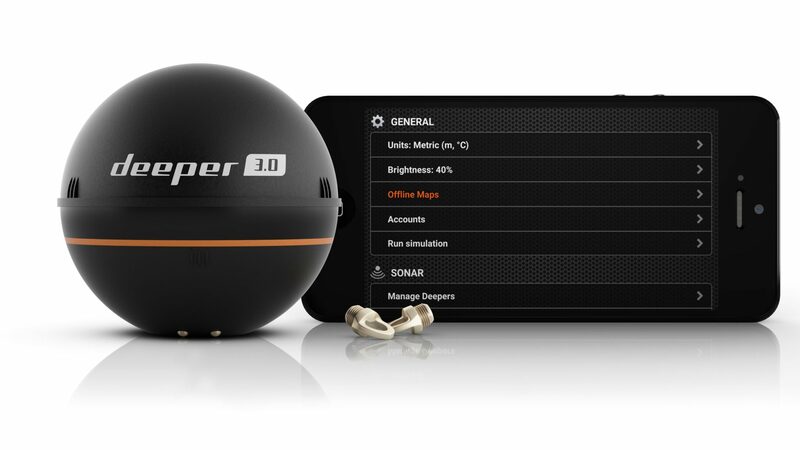 Fill in your offline map repeatedly, every time you use Deeper Smart Sonar for a maximum area coverage. Create layers of unlimited information and develop your own significantly accurate map. With your new Offline Maps feature you simply can’t get lost. You can access your area map at any time, no cellular signal nor Wi-Fi required. When in need use it to navigate yourself and your crew out of watery and wild surroundings. Update your Deeper App now and examine the Offline Maps advantage when exploring new fishing territories or tracking back previously marked successful fishing spots.